FRP Equipment.com, Inc. builds a variety of plural component processing equipment to meet the demands of today's industry. For almost 30 years, we have offered systems that range from low volume to high production outputs. We build standard systems, but our ability to customize to suit your needs is our best asset. Our niche is our extensive background in spraying and dispensing thick and heavily filled materials. We have a wealth of experience in dealing with Granite Gel Coats, Adhesives, Putties, Gypsums, Concrete, Urethanes, Epoxies, Resin Matrixes and Rubbers. 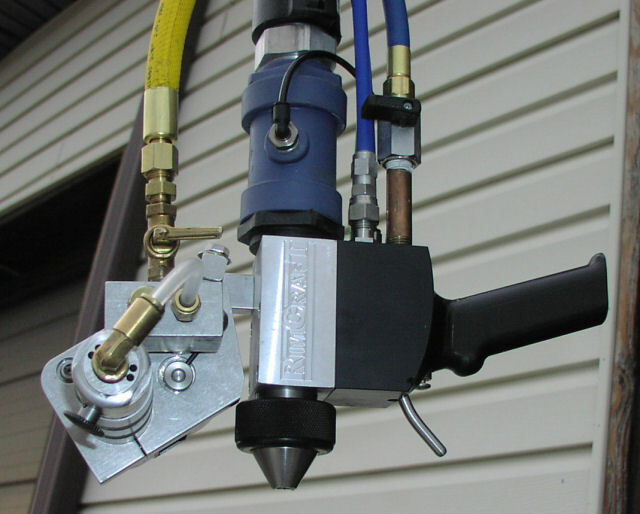 Along with our main line of systems, we also offer peripheral equipment such as custom FRP spray guns, mixers, controllers and accessories. FRP is capable of designing a system to fit YOUR production requirements. Check out our new site at www.rimcraft.com! 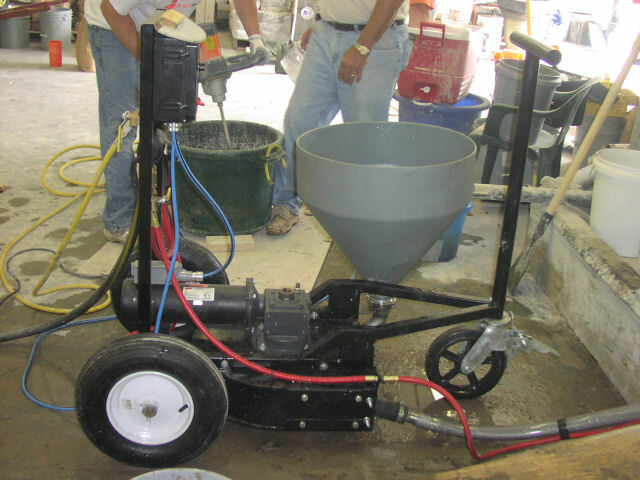 RimCraft has always been the leader in Gypsum processing equipment. Now that FRP manufactures the entire RimCraft line, expect even better. We are currently building our own pumping system that promises to bring a new edge to our product. FRP builds both Spray for Facecoat and Chopper for backup as well as accelerated casting systems. FRP is fast becoming a significant force in the GFRC equipment market. Already recognized as the leader in GFRG, we have applied these details to our Cement line. We have found that the details are what make a huge difference in promoting flow and EZ cleaning of these difficult-to-pump materials. 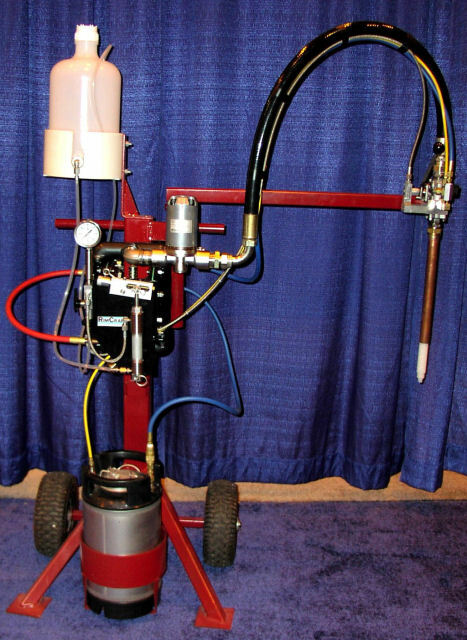 Look for the RimSpray GFRC Mini for ease of maneuverability in small shops (ie: Concrete Countertops) and outdoor applications. The full size RimSpray Black Max unit is taking the GFRC Industry by storm! FRP Equipment manufactures a variety of specialty Resin-Based equipment for the composites industry. From low-pressure diaphragm/ slave for RTM and Infusion to variable ratio Urethane and Epoxy units. We also excel in systems for Spray Granite Gel Coats along with sprayable Polyester Putties and Barrier Coats. We build the finest Putty Dispensers and Resin Casting systems on the market. FRP Equipment.com Concord, NC 28027 USA | Tel: (704) 721-0229 | © Copyright 2019 | All Rights Reserved.